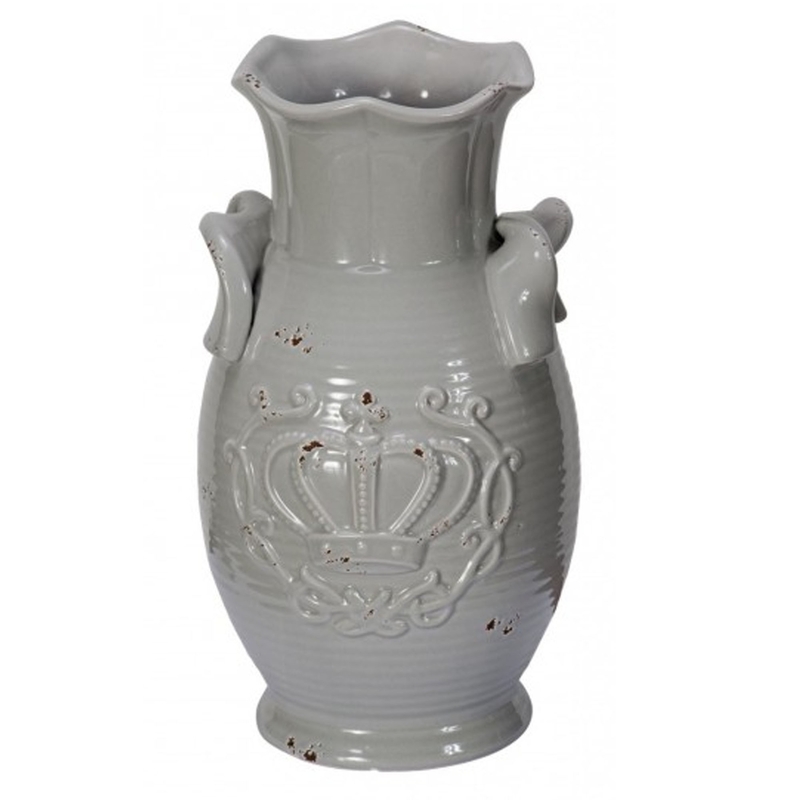 This is a stunning vase with an incredible Royal design. It stands out and looks beautiful, it's elegant design is sure to impress anyone who views it. As well as the design, the shape is also very majestic. It's very unique, whilst also fitting in nicely to any room. It also has a distressed grey colour which is very calming and homely, making it a brilliant addition to any household.